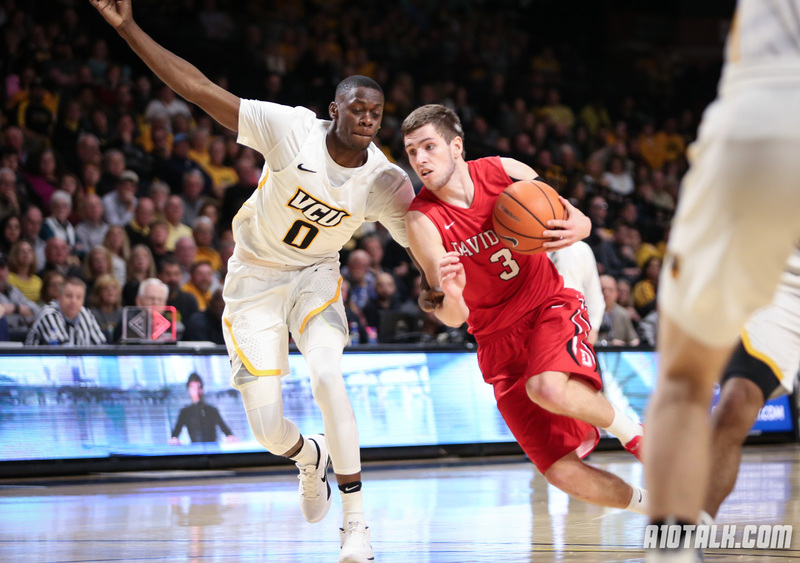 Picking up their fourth straight win Saturday over UNC Wilmington, the Davidson Wildcats look like one of the A-10’s hottest teams right now. Led by a lethal guard tandem in Kellan Grady and Jon Axel Gudmundsson, the Wildcats backcourt can hang with the best of them. Davidson has no bad losses as its only defeat came against nationally ranked Purdue. In order to make the tournament this year, the Wildcats need to continue handling business in the non-conference. Davidson’s only game this week is at home against Winthrop. As for Saint Louis, the Billikens grabbed a big 64-52 win against Butler this past Saturday. The Billikens also grabbed a quality win on the road earlier in the season when they defeated Seton Hall. The only thing standing in Saint Louis’ way of a perfect record right now is a two point loss to Pittsburgh. While that loss was tough to swallow at the time, it certainly does not look like a bad loss at the moment. The Billikens can continue to pad their tournament resume this week when they take on Southern Illinois and Oregon State. Off to a surprising 6-1 start, the Fordham Rams continue to be a small bright spot in a mostly horrendous Atlantic 10 this season. While the record is nice and certainly better than Fordham is used to, the Rams are yet to pick up a quality win. We’ll see if Fordham is for real this Saturday afternoon when the Rams take on Rutgers. As of now, Duquesne could be lumped into the same boat as Fordham. The Dukes are 4-2 with notable wins over William and Mary and Radford, but missed out on quality win opportunities with losses to Notre Dame and Pittsburgh. Hopefully Duquesne can take care of business this week as it faced Marshall and Longwood. When it comes to Dayton, the Flyers are off to a relatively solid start but could still use a lift. Dayton downed Butler a couple weeks ago to pick up a quality win, but has lost three straight games since then. That said, those losses came to No. 4 Virginia, No. 22 Mississippi State, and a very good Oklahoma team. With no bad losses and a quality win, the Flyers need to take care of business Tuesday against Detroit. Once that’s done, Dayton will focus all its attention on facing the nation’s 8th ranked Auburn Tigers Saturday night. It promises to be a major challenge, but needless to say a top 10 road win would do wonders for the Flyers tournament hopes. VCU, on the other hand, beat Temple earlier in the season but took a tough loss to Old Dominion last week. Currently sitting at 6-2, this week presents some huge challenges for the Rams. VCU goes on the road to take on Texas and plays at Virginia Sunday afternoon. Pulling out a win in either of those two games would be a humungous boost to the Rams’ tournament resume. Heading into this year many expected Saint Joseph’s to finish top four in the A-10 and compete for an at-large birth. Yet here the Hawks sit, down to their last life. At 4-4 overall, Saint Joseph’s is yet to take a truly bad loss. That said, the Hawks have dropped some very winnable games and do not have a high quality win on their resume. If Saint Joseph’s wants to keep its at-large hopes alive, the Hawks must win both of their games this week at Princeton and Villanova. Underachieving better than any A-10 team this season, the George Mason Patriots have already shot themselves in the foot one too many times. This was supposed to be George Mason’s year, but with six losses in their first ten games, the Patriots’ at-large chances are already shot. While I still think George Mason could become dangerous in conference play, they will not be making the tournament this year. It should be noted that Richmond picked up a win against Wake Forest over the weekend. Saint Bonaventure is riding a two game winning streak as well. Heck, La Salle even gave Villanova a run for its money. Despite the valiant efforts, however, nothing will save these team’s 2019 at-large chances. Better luck next year guys. From initial indications,this is not a good year for the A10 in terms of multiple bids. You will have the conference auto-bid and if that is winner is a surprise, we might get two teams in. The conference season is always full of surprises so weak OOC results could impact us overall come March. Way too early to worry about Bracketology …. besides, the big boys always win anyway for the most part. They’ii invite the entire ACC (and others) before it’s all said and done. Same thing was said last year about the A10 having a down year and most likely only getting one Bid in the 2018 NCAA Tournament (and that was being said all season long until roughly around mid-February when SBU went on a run) but look at what ended up happening, the A10 ended up with two At-Large Bids and an Auto-Bid even if Rhode Island and St. Bonaventure got royally screwed Seeding wise. Someone will emerge along with another team while someone else may win the A10 Tournament winning the Auto-Bid and the A10 will get at least another three Bids this season just like they have since the A10 started out!